The rumours in spanish media are circulating a possible transfer of Gareth Bale back to Premier League as early as next summer transfer in 2015. Gareth bale joined Real madrid from Tottenham Hotspurs for a world record breaking fee of over £86 million in the summer of 2013 and his transfer has been a success with him contributing alot in Real Madrid winning Copa Del Rey and more importantly UEFA Champions League last season. according to reports in spanish media, Manchester United are willing to splash more than £100 to buy Gareth Bale, which kind of indicate that United has kind of changed their mind about Rademal Falcao’s permanent deal. Manchester United spent more than £150 in last transfer window bringing in players like Ander Herrera, Daley Blind, Angel Di Maria and Marco Rojo while Falcao’s loan deal cost United £16 for a year. Despite United not finishing in top 4 last season and failing to qualifying for Champions League they have gone on to get record breaking kit suppliers and sponsorship deals which will bring in £130 million a year as Nike kit deal will get United £75 million a year while Chevrolet shirt sponsorship will bring in £53 million a year. So as far as money in concerned United are in very good position compared to other clubs like Chelsea and Manchester City. Another possible reason for Bale’s departure is the fact that Real Madrid signed James Rodriguez and they have set their sights to bringing Chelsea starlet Eden Hazard to La Liga which will only happen if they manage to sell Bale. Gareth Bale is currently on of the highest paid footballers in the world and here is some numbers from his current real madrid contract. Louis Van Gaal told media that he won’t talk about possible Gareth Bale transfer with any media or reporters who would rather talk with united CEO about possible transfer targets. On the other hand in a survey of over 30,000 Real Madrid fans 54% fans voted as willingness to sell Bale for a record transfer fee. Adidas Influence on the transfer ? As we all know that Adidas will become Manchester United new kit suppliers from 2015-16 season and Gareth Bale has been endorsing Adidas since the age of 16. He signed a 6 year contract extension with Adidas worth around £20 million. This link between three parties United, Adidas and Bale might kind of work out a transfer in summer 2015. What do you think of these reports ? should Manchester United go for another expensive attacking player while they are struggling in defense ? 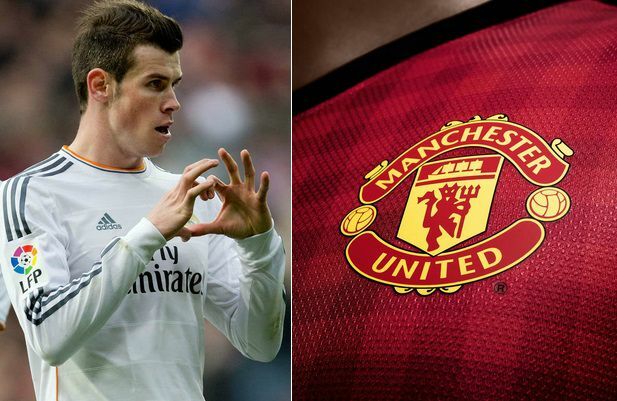 If United come calling should Real Madrid let Gareth Bale leave the club ? let me know your thoughts.